So my triathlon race plans this year include 2 sprint triathlons and 2 70.3s. 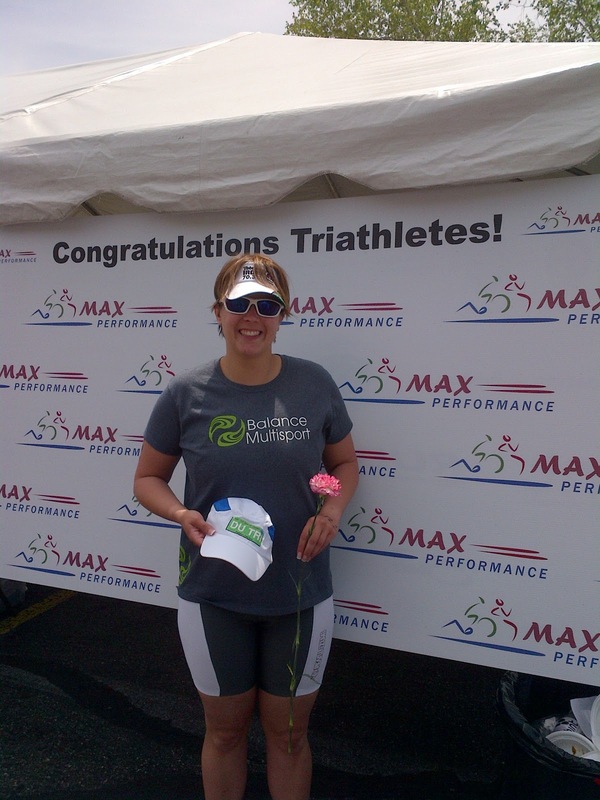 The first of the sprint triathlons was Max Performance's Season Opener in Hopkinton. Last year I did 2 races on this course- Season Opener and Title 9. 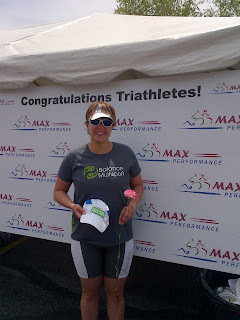 The Season Opener last year equated to me learning A LOT about nutrition- I threw up on the bike. So I had hoped to have a better performance. The race plan with my coach was to focus on the bike- ride the 10miles like it was a time trial. On Saturday I did a 3 hour ride so my legs were pretty DONE! 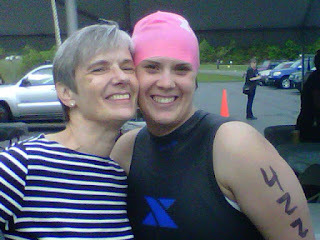 But that was the goal- tired legs would simulate well for the 70.3 training. Obviously Quassy in June is the goal- THE A! The swim plan was get used to the wet suit feel, and the run plan give it what you have left after a hard ride. 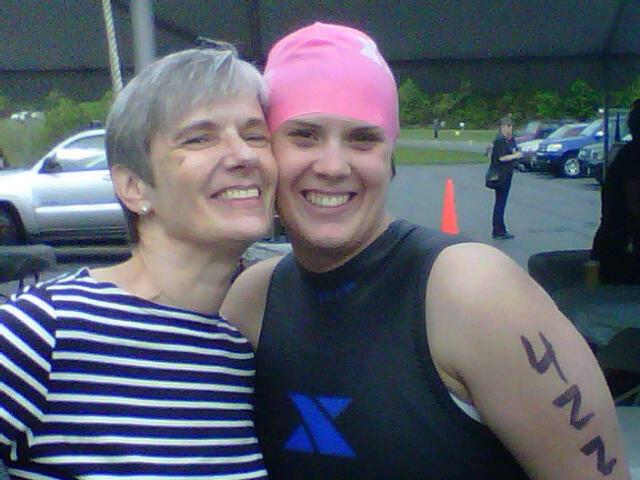 It was Mother's Day and the race was right near my parents house so my Mom and Dad came to see me race. D was great support as always. Bike- 38:10- Again my time was off from my goal of 35min buuuut I had 35min for the actual bike stupid running to transition. The bike course for this sprint is pretty challenging. I felt a lot better on it than I have in the past. I rode my road bike since the roads are tough and the racks at the Max Performance race's scare me with my nice new tri bike. I had Heed on the bike and a water bottle just in case. I ate 1/2 a sleeve of blocks. My thought was this would fuel me thru the run and the bike. Last year- 40:43- little faster still not exactly what I had hoped. Way to go. Nice way to start out the season!